When you buy an ebook, you have not purchased it. You have only paid for the right to rent it and read it on your device. Because of DRM (Digital Rights Management), retailers such as Amazon, Apple and B&N (Barnes & Noble) allow you to read the ebook you purchased on the retailer’s device, such as your Kindle, iPad or Nook. But what happens when the retailer has a change of heart or a change of business model? Nook owners in the UK have found out how nasty DRM can be. B&N recently sold off its Nook business in the UK to Sainsbury’s, a UK supermarket chain. This was bad news when it was announced because as some predicted at the time, a supermarket chain hardly seemed the ideal kind of enterprise to take over a large ebook business. Now the chickens have come home to roost on this move by B&N to lazily dump its UK Nook business. Nook owners in the UK are now discovering how bad DRM really is, as their Nooks cannot access the ebooks they have legally purchased from B&N. The problem seems to be that between B&N and Sainsbury’s, the two have not been able to transfer the DRM from B&N to Sainsbury’s. Or, they haven’t bothered to do it as yet. Either way, UK Nook owners cannot access ebooks that they have bought over the years from B&N. Until the mess is sorted out, there is nothing at all Nook owners can do, other than complain, or throw their Nooks away. While this current problem is restricted to Nook owners in the UK, don’t think that this could not happen to you. All it would take is for Amazon or Apple to make a business decision to either not support older model devices, or to change or upgrade their ebook file types, which may not work retroactively. With technology, nothing is forever, and especially so with electronic devices and file types. The only way to save and back up an ebook library from a device using DRM is to strip the DRM from the ebook files. This is against the terms and conditions of use of ebook retailers, and as such is illegal. However, there are many articles on the Internet explaining how it can be done. 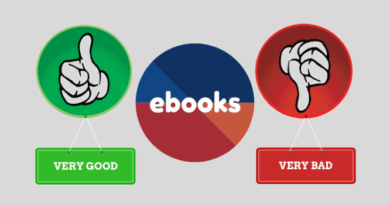 The only way to be absolutely sure you own an ebook is to buy a DRM-free ebook. However, do not expect the ‘Walled Garden’ ebook retailers to offer this option anytime soon, as they would lose the control they have over your ebook purchases, meaning that they do not want you adding Apple ebooks to your Kindle or Kindle ebooks to your Nook. The other insidious reason retailers love DRM is that they can track what, when and how you read. Without DRM and this tracking ability, there would be no Kindle Unlimited. So, does all of this make you think you might visit a bookstore tomorrow and buy a real book that you can own, keep, lend, sell to a secondhand bookshop, or after you have finished it, give to your grandmother to read? Amazon sent me an email a while ago telling me I had to upgrade the software or they’d brick my kindle and I’d never be able to use it again. I’m ahead of you here. I wish I knew this year’s ago. I just stopped buying from them. It it’s harder to find what you want. I wish there was a thumbs up or like for replies, just because of this. Calibre is amazing. The did it with music, even though the same considerations as to lock-in and control applied there. The difference with books is that the publishers wouldn’t wear it.